While acne is harmless, it can leave a dent in your self-confidence and lead to social isolation. So many factors contribute to acne breakouts, including dead skin cells, dirt, excessive oil production, and dust. Clogged pores can lead to pimples, and these pimples turn into acne when infected with bacteria. Hormonal changes may also cause acne to develop, but you can try ways to make your acne less severe or even treat it. 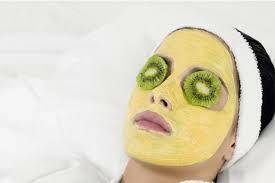 Applying cucumber mask for acne is one simple and effective remedy that works well for most people. You may want to try it too. How Does Cucumber Help with Acne? It replenishes your skin because it contains silica. It is due to the presence of this source of nutrients that cucumber acts as an anti-aging, anti-acne, and anti-wrinkle product. It rejuvenates your skin and keeps it moisturized because over 90% of cucumber is water. It also keeps your skin hydrated and prevents acne. It helps tight up your skin and cleanses it by getting rid of the dust, dead skin cells, and other impurities. 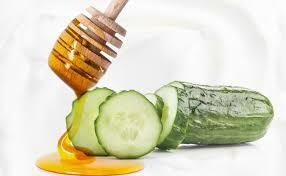 Therefore, regular use of cucumber mask may keep acne at bay. It helps preserve the skin by providing you with vitamin A, C, and E, as well as several minerals, such as potassium, calcium, phosphorus, and magnesium. It helps lighten the appearance of acne scars because it has astringent property. It also reduces inflammation and redness caused by acne scars. It has anti-inflammatory properties and leaves a cooling effect on acne scars and pimples. 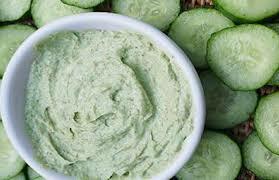 You know cucumber is beneficial, but you may be wondering how to prepare the best cucumber mask for acne. Here are some options to consider. 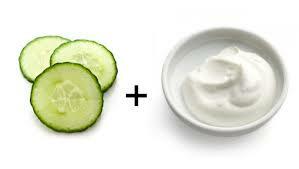 To help reduce the production of sebum, use cucumber and yogurt together. Take a cucumber, cut it into pieces and blend well. Add 3 tsp. of yogurt to the cucumber paste you have just prepared. Apply it directly to the affected area and leave for about half an hour. Wash your face with lukewarm water. Spray some cool water on your face to additional rejuvenation. Take a small cucumber and blend it to make a paste. Add 3 tsp. of fresh tomato juice and 2 tbsp. of pure sandalwood powder to the paste. Apply it directly to the affected area and leave for half an hour. Wash your face with water and pat dry your skin. Finish by applying some oil free moisturizer. 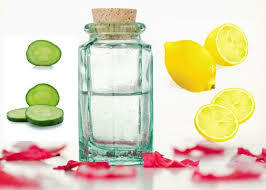 Take equal amounts of lemon juice, fresh cucumber juice, and rose water to make the best cucumber mask for acne. Mix well and apply the mixture to your affected skin. Leave it for a few minutes and then wash your face with water. Do it every day for good results. Take some fresh mint leaves and put them in the blender. Add some cucumber pulp as well. Blend well. Take an egg and separate the egg white. Beat it well and then add to the juice. Apply this mixture to your face and wash after 15 minutes with water. Repeat regularly for good results. 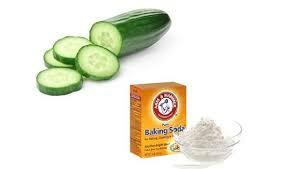 Make a thin paste by combining a teaspoon of fresh cucumber juice and baking soda. Apply the mixture to the affected area and wash after a few minutes using lukewarm water. Use oil free moisturizer in the end. Take ¼ cups of peeled cucumbers and mix with 2 tbsp. of witch hazel. Add 2 tbsp. of water to the blend and mix well. Take a cotton ball and use it to apply the mixture to the affected area. Wash after a few minutes using fresh water. Take a tablespoon each of honey and ground oatmeal. Mix with half cucumber. Apply directly to your face and leave it there for 15 minutes. Use fresh water to wash your face. This cucumber mask for acne works because oatmeal gently exfoliates your skin and honey offers antibacterial benefits. Take a teaspoon each of baking soda and honey in a small bowl. Add a mashed cucumber and apple to the bowl along with 2 teaspoons of water. Mix well. Leave it in the refrigerator for 60 minutes and then apply it directly to the affected area. Take a cucumber and chop it into small pieces. Now, extract its juice and add a teaspoon of lemon juice to it along with a teaspoon of turmeric powder, and 2 tablespoons of chickpea flour. Apply it on your face and massage gently. Leave it there for about half an hour and then scrub your face using wet fingers. Repeat thrice a week for good effects. Make a thick paste by mixing 3 tablespoons of Fuller's earth with some cucumber juice. Mix thoroughly and apply the paste directly to your face and neck. Leave it for about 20 minutes and then remove it using wet fingers. Then, wash your face with cool water. Finish by applying some moisturizer. Why Is Your Face Often Red? Why Do You Get Flushing After Eating? How Common Are Cold Sores?